My Travellers Favourite Gadget/Gears ! 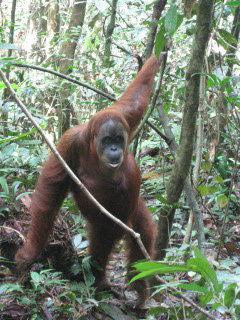 For so many people Sumatra just a jungle, not very attractive, as some said. But its a totally wrong assumption. 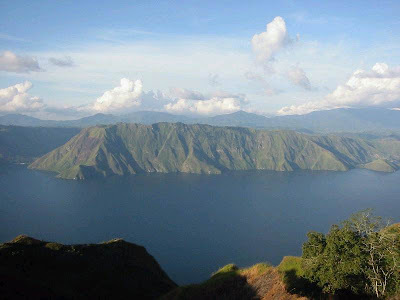 Sumatra is the 6th largest island in the world. 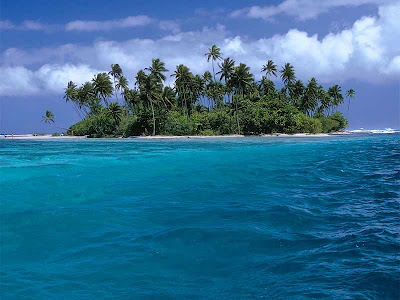 Its had longest coast lines for water sport such as surf, many dive spot and for snorkeling. Many people/western had been there want to keep this as secret because they don't want too many people went there and destroy it (a friend surfer told me so), but i guess these days this paradise can't be kept as secret forever, as its getting famous ! You could do so many activity, start from trekking, historical trekking, nature trekking, surving (best from March to November for incredible waves)-most of the spot is for experienced wave riders (yepp... thats very cool ! 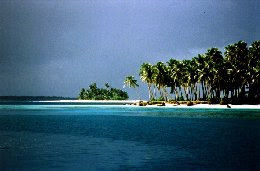 ), diving, snorkeling etc in Sumatra. And the best part is, its not so touristy or over crowded like Bali or Lombok or other famous places. Its not fun anymore to go to beach when you have to watch your step because so many people lying on the sand to get some sun tan. 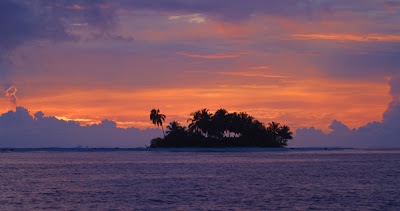 http://www.freedomsurfing.com/ - offering surfing tours for Mentawais, Hinakos, Telos, and Banyak Islands. You will obviously find the most challenging trekking path in Sumatra. Beautiful scenery, high moutain to enjoy, the rain forest, animals.... its so beautifully green ! 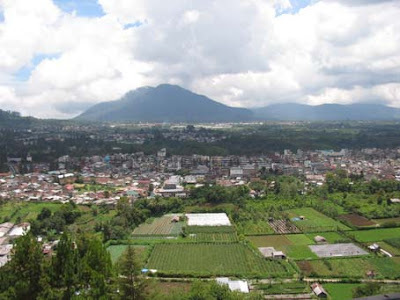 You could go to Kerinci National Park, the nearest city is Sungai Penuh. You could access this from West Sumatra or from Jambi. They do have flight from Jambi to Sungai Penuh (i post this on my previous post about Jambi). 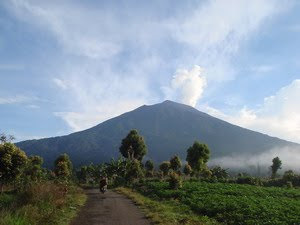 Kerinci mountain is the highest peak on sumatra Island, the 2nd highest after mount Jaya Wijaya in Irian Jaya. The peak is said as one of the 50 finest peak on earth... could you imagine the feeling when you stand there? (haha i cant because never been there!). Oh i read some of the climbing here. And actually if y ou google it you could find many people already climb the peak. I could say i am quite geeky/edgy. Its kind of weird for some girls (prefer shoes and bags?) 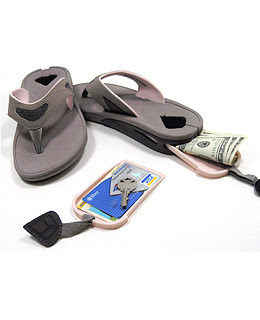 but anyway i love those girlie things but we are talking about gadget that a traveler must have. I've been browse around and found things that i would really have during a long journey ! It should be very light and small, should had more than 1 function, and if its not too hard to ask... please.. i want something chick ! (wink wink). So here we go, the gears that i think travellers should consider to bring during traveling time. I can't believe i never heard about this before (seriously). But this bag is awesome. I just hope its not as heavy as it look ! Solar backpack is a mobile solar power generator designed to charge virtually all handheld devices with natural sun light. Not only its environment friendly, solar bag charges GPS, Cell phone, PDA, most iPods and MP3 players. The solar panels are fixed on outside of the bags. These panels are lightweight, waterproof and sturdy. These panels collect the sun energy to produce electricity. The electricity can be used to charge your devices. Some companies claim that the solar panels on their bags can charge a laptop. Some solar powered bags available in the market have foldable solar panels, so it will give you flexibility to get more sun light. 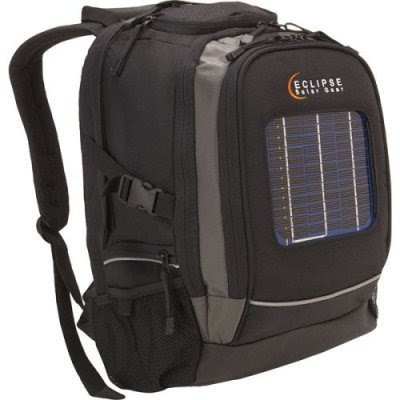 Solar backpacks are best for outdoor activities where it is difficult to get electricity. These bags are for everybody from students to messengers, hikers or boaters who uses their devices until the battery is drained out. 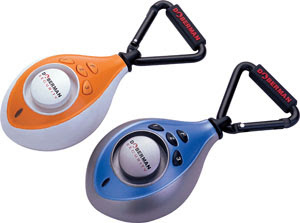 They can be connected to their phone with charging by solar backpack. The backpack has different compartments too. You can store your cloths, laptop or any devices in them. Could you imagine to have one of these bags, its very useful for traveling or hiking (especially maybe to third world countries like Indonesia.. hehe yupp we still have those electricity black out sometimes!!!). My fave Voltaic design ... hmmm you could check it on this website. 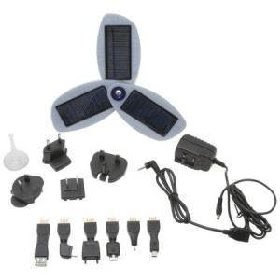 Who needs a travel adapter for their iPod or digital camera when they could buy the Solio Classic Solar Charger. The Solio Classic Solar Charger is a pocket sized electronics charger that runs off of solar power. This little solar powered wonder can be used to charge almost any small, hand held device such as a digital camera, iPod, cell phone, and more. The Solio Classic Solar Charger works by collection light via its solar panels and storing its energy in the inboard battery. Power that has been collected and stored in the battery will be good for at least a year. This way you could charge up the Solio Classic Solar Charger battery and save it for a rainy day if need be. This gadget very useful for a solo traveler, especially girls. This tiny gadget not only could watch your bag when you left it on your hostel room, but it could also use as a panic alarm when you feel threatened on a danger place and could made sound as 100 decibel !! The Doberman Bag Protector Alert is a uniquely designed dually triggered alarm device, including a motion sensor alarm and a pull pin alarm. 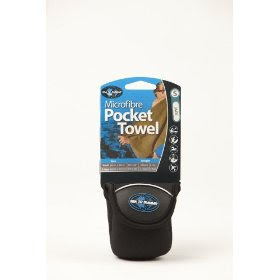 The m otion sensor is armed and disarmed via the Bag Protector Alert keypad. Use your preset persona l security code and place the Bag Protector Alert on a bag or valuable. If the protected item is touched, the motion sensor will trigger the alarm to alert you of a possible threat to your valuable. Basically, it’s a like a car alarm for your bags. You set your bag down, set the alarm, and if the bag is moved it will set off a 100 decibel alarm, sure to put off any would-be t hieves. An added bonus too is that it has a special pull-pin feature that can be used as a panic button. Perfe ct, if you’re out wondering around some dodgy streets at night. Allow you to plug in to your laptop so you can charge up your AA batteries without having to pack a charger. Simply pop off the lid to recharge by any powered USB Port. Ideal for use with wireless mice, keyboards, game controllers, and other household products with no need to carry or find a separate charger. 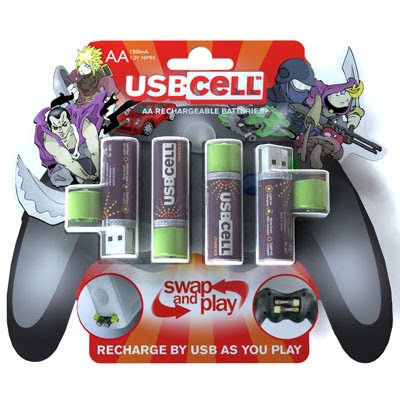 Easily rechargeable on the go, in the office or at home. 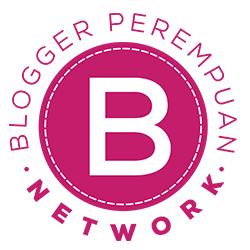 USBCELLs can be charged hundreds of times saving you money and helping reduce environmental waste. USBCELLs are NiMH 1.2v batteries with 1300mAh capacity. Its not a hi-tech kind of sandals, but its very thoughtful.. hehe.. i like beach, so i know how its hard to keep swimming and enjoy the water while we have to watch our things at beach ! They have a hidden compartment, just the right size for storing keys, credit cards and other essentials, while you’re out for a swim. It have different co lors, and available for women and men ! 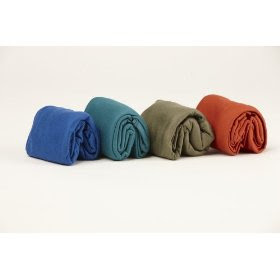 I looovvveee this towel, its light, "towel like", soft, adsorb quick like 3 times than average towels and the size is tiny ! You could have a big size 24"X 48" to 16" X 32". It had its own pouch so i could search it easily on the back pack. 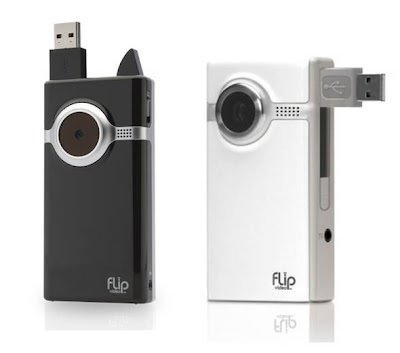 A cigarette-pack sized video recorder (10 x 5 x 1,6 cm) and weight around 93 grams, that's basically built around a big, fat, red RECORD button: Better to have a cute video camera that you'll toss into your pocketbook and use, instead of a big, complicated beast that stays home. It had four gigab ytes of internal memory provide 120 minutes of record time. 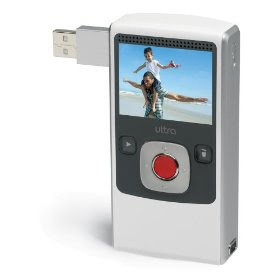 A rechargeable battery lasts around four hours and a USB plug built onto the device lets you plug it in to a PC or Mac and automatically upload your riveting movies to Mys pace, YouTube or AOL. With its modest 640 x 480 resolution, you won't be winning any Academy Awards for cinematography, but its good for capturing moments that we will never forget ! 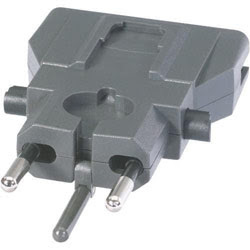 Most so-called universal plug adapters aren’t. Universa l, that is. 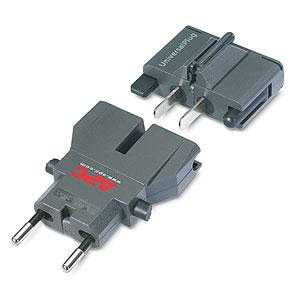 They are capable of converting between the most common outlets like the C-type (used in much of Europe) and the A-type (North America and Japan). 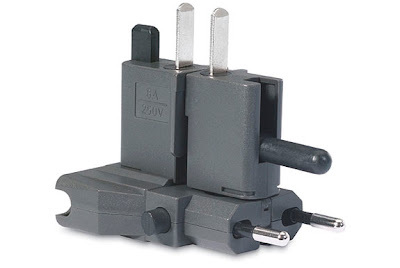 But your typical plug adapter can’t conform to the M-type of plug (southern Africa ) or L-type (northern Africa and the Middle East). Some even have a hard time with the “sunken” plugs used in Europe, like the J-type (common in Switzerland) or F-Type (found in Germany). ightweight of those that can. The APC is so efficient because it consists of two parts, each of which can be twisted, turned and attached together in a multitude of ways such that its users can be forgiven for thinking that they are playing with a transformer robo toy!. The design is unusual, but it works. Always. Making the APC adapter one of Spot Cool Stuff’s must-pack items for any international trip. 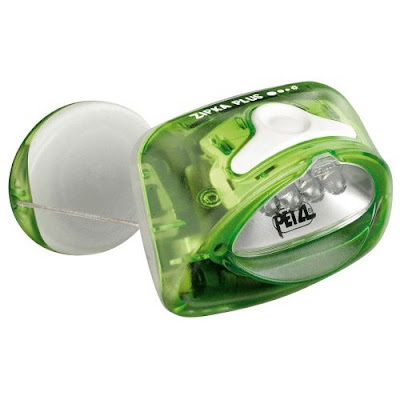 The ultra-compact ZIPKA PLUS headlamp is equipped with the ZIP retractable cord system. This feature allows the headlamp to be worn on the head or wrist, or attached to any other support, like a tent pole, a bicycle seat post, etc. This headlamp integrates two light sources for versatility: one white, high-output LED and one red LED. The white LED delivers 50 lumens in maximum mode and lights up to 35 meters. In economic mode, it can reach a burn-time of 140 hours. The red LED provides lighting to preserve night vision or to become a blinking light for increased safety, for example in an urban environment, etc. The ZIPKA PLUS can be used with lithium batteries to decrease weight or increase performance in cold weather. There are so many other gadget that i could write on here.... ill continue to the IInd part next time ok ?!! have a nice trip ! !